Ever since I started this blog, one of my besties tells me she finds it difficult to throw things away. She said she thinks to herself, “Dinah could make something out of this.” So, when I saw her the other day she handed me a baggie of coin wrappers. “Here, make something out of this.” So starts my first recycled craft challenge. 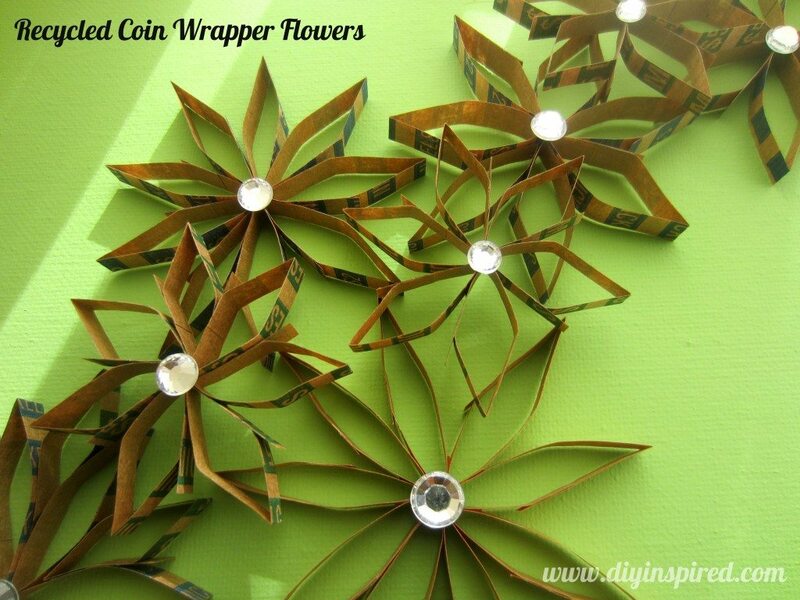 After asking some Facebook friends on my page for inspiration, I decided to make recycled coin wrapper flowers. 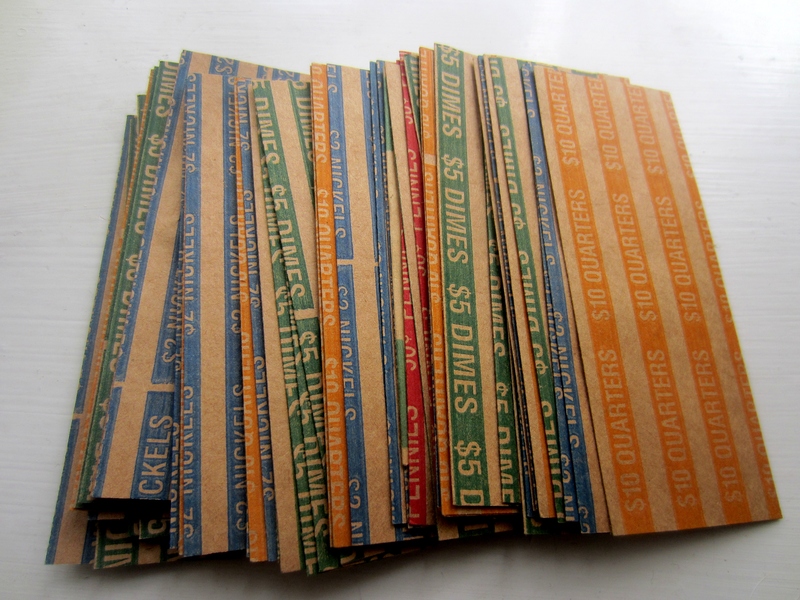 Here are the wrappers I used. Now, let me just say that not all of my projects turn out quite like I picture them in my head (you are about to see my first published CRAFT FAIL!!). 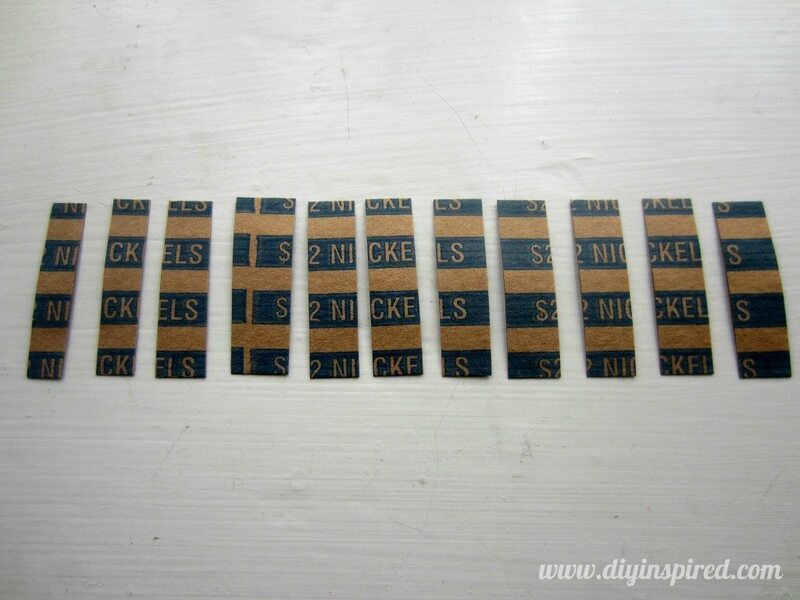 My original intention was to make wall art out of these coin wrappers for my friend, but it didn’t turn out quite like I had planned. With that said, I think these flowers would be cute for ornaments, card making, or gift wrapping embellishments. 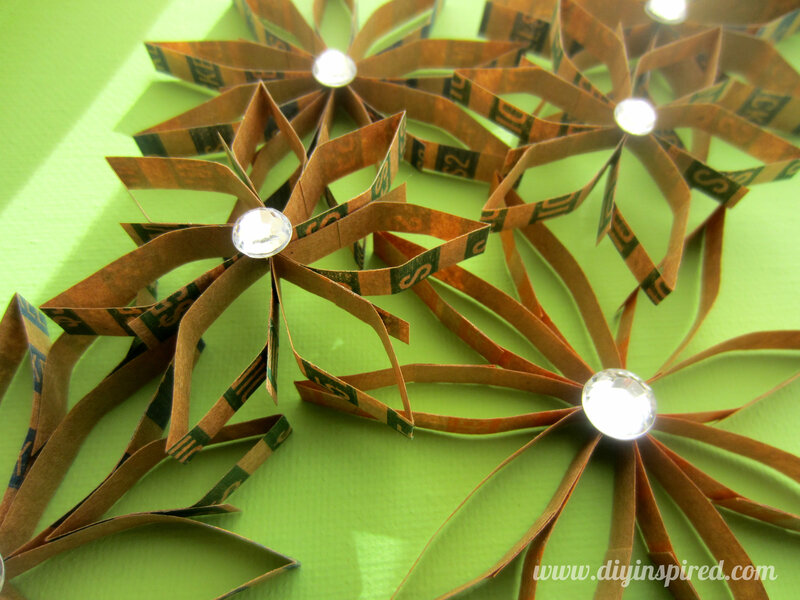 Here is how I made these cute little recycled coin wrapper paper flowers. 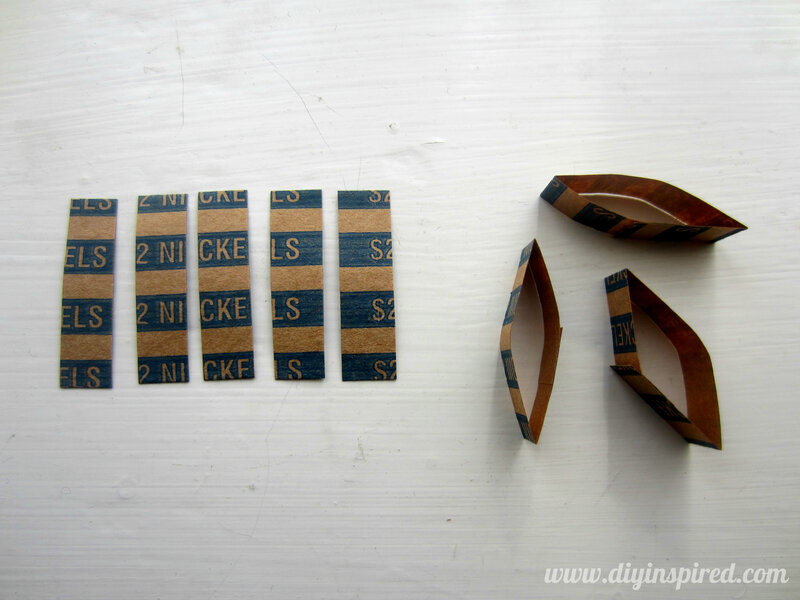 First, cut your wrapper into strips at the desired thickness as shown. I found that the thinner the flower, the more dainty and pretty it was. 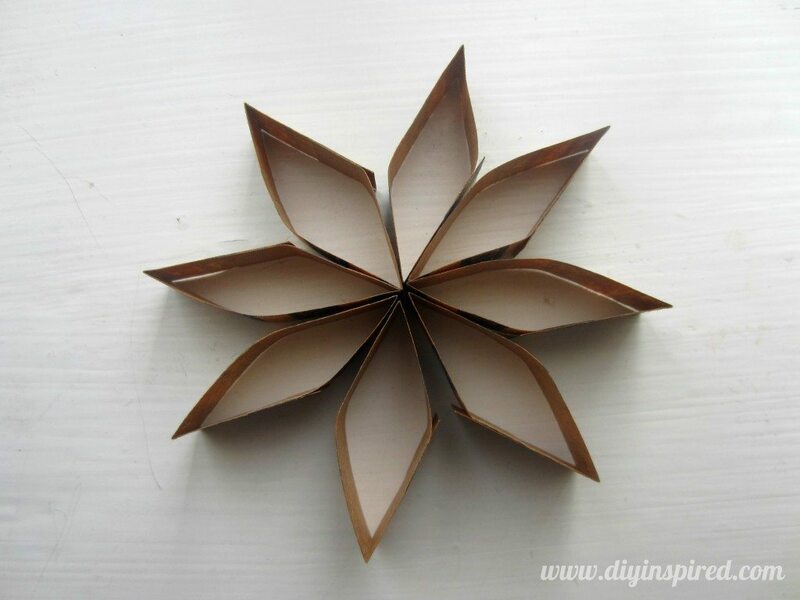 Next, bend each strip to form flower petals. 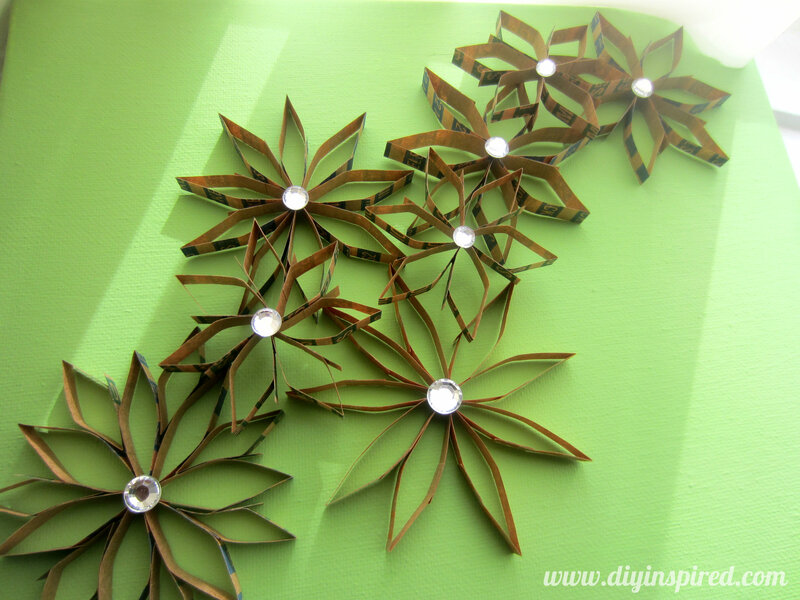 Arrange the flower petals as you wish and glue them together. Add a rhinestone embellishment. 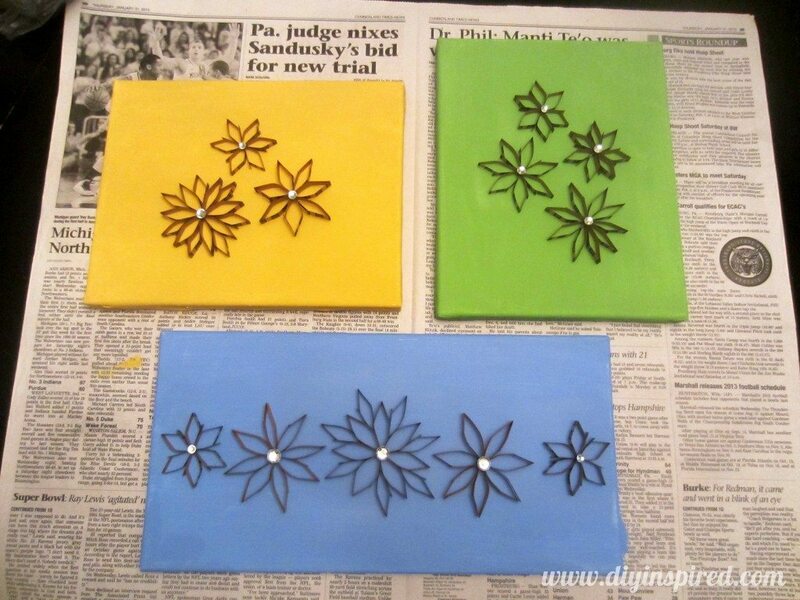 I tried painting the petals and found it tedious. 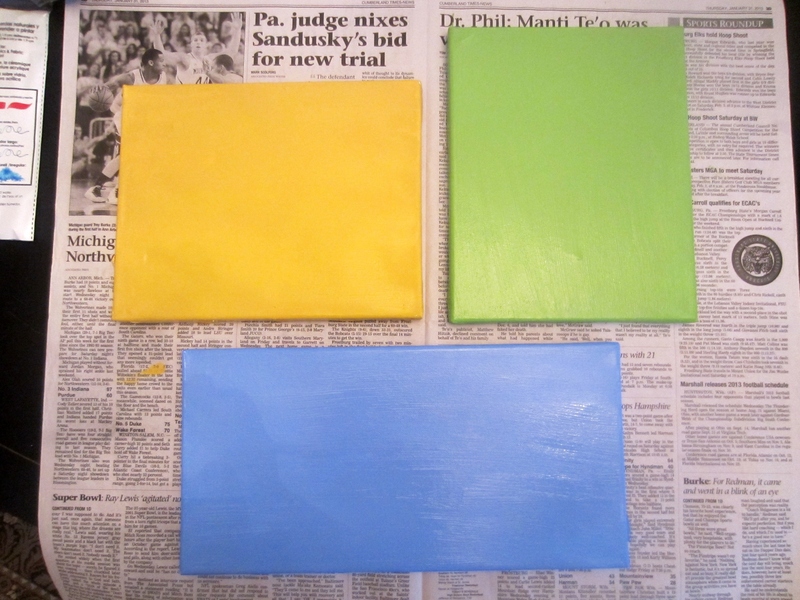 I also liked that you could tell that they were coin wrappers, so I decided not to paint them. Now for my CRAFT FAIL!!!!! I attempted to make an arrangement anyway… BLAH!!! 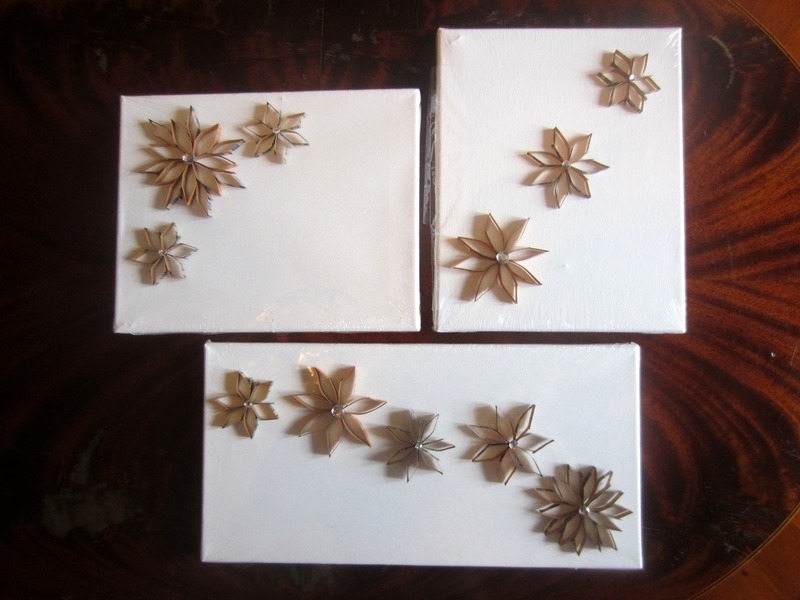 I wasn’t satisfied and DEFINITELY not good enough to give to someone and expect them to hang them in their home! SOOOOO, I tried to layer them, but still didn’t like it. I think I’ll just use them for gift wrapping or card making! Oh well! I tried! So cool! Love the colored backgrounds with the flowers! Gives them an extra pop! Cool idea. I have a bunch of these. I might try to do something like this for Easter.